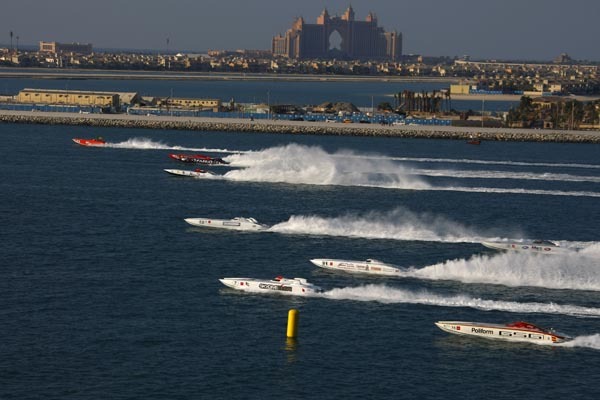 Win number nine in 2010 also secured the Middle East Class 1 Championship for Fazza to add to the World and European crowns they had in the bag prior to the race. But the victory was never a forgone conclusion with the Welmax crew piling on the pressure throughout the race as they claimed second by just over fifteen seconds from Italians Guido Cappellini and Giampaolo Montavoci in GSG Ceramic Design in third. “We got off to a brilliant start and got to where we wanted to be, which is just behind Fazza as we know we can’t beat them on the acceleration at the start,” said a smiling Selmer who admitted it was the best race he had been involved in with Fazza. It was a stunning finale to a Class 1 season that has seen Bin Hendi and Al Zafeen win 75% of the races they have started and take the world title by a record 96 points over their nearest rivals. While Fazza and Welmax were having their own private battle at the front of the field, there were other bragging rights being fought over elsewhere. 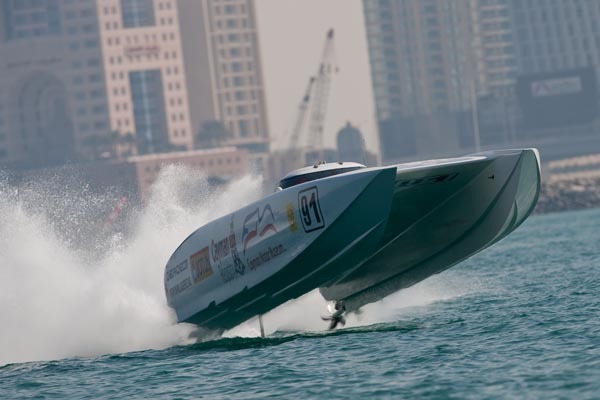 With their closest rivals Talib Al Sayed and Abdullah Al Mehairbi sitting out the final two races of the season after crashing in Abu Dhabi, Italians Giovanni Carpitella and Luca Fendi needed just four points to claim second spot in the World Championship and they grabbed the overall silver medal by claiming fifth in the race in British boat Negotiator. It meant Al Sayed and Al Mehairbi claimed third in the world in SkyDive Dubai. 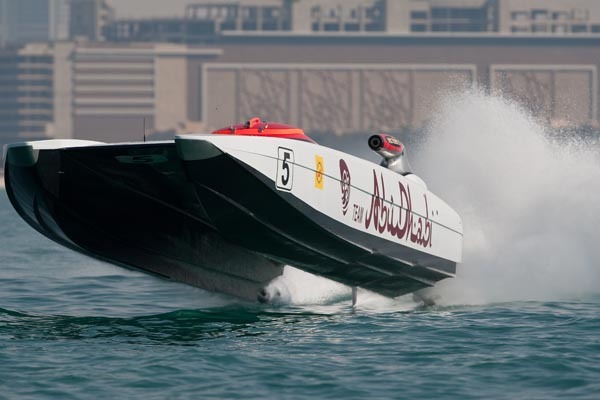 In the Middle East Championship, Team Abu Dhabi’s Rashed Al Tayer and John Tomlinson claimed overall second place behind Fazza thanks to a hard-earned sixth place despite starting well behind the field thanks to a propeller problem on the first lap. Third place in the Middle East series goes to Selmer and Tandberg. Fourth place for Skydive 2010 was a marked improvement on yesterday’s performance, but there was frustration for MITI/GiorgiOfshore completing just four laps before an engine problem ended their race, with Relekta stopping six laps later with a gearbox problem.